The first big question that you need to address when considering endorsers is, of course, who should I ask? 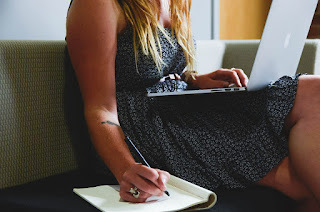 Obviously, endorsements from big name authors will make a larger impact, but you're also much less likely to actually receive an endorsement from a big name author unless you have a substantial connection with him or her. Also, not every author who agrees to consider endorsing your work will end up providing an endorsement, either because they didn't connect with your story, didn't have an opportunity to read it during the given time frame, or any number of reasons. So if you have a set number in mind, I would suggest putting together a list that's slightly longer than that target to account for authors who aren't able to follow through. It's also best to have endorsers who write in a similar genre to the book you're publishing. First, if the authors truly enjoy your book and are willing to help promote it beyond just the endorsement, their promotion will be much more helpful if it reaches readers who like to read your chosen genre. Second, the backing of authors of a similar genre will carry more weight than authors who write something completely different, because that's the genre they've studied and have experience in. Whether big name or up-and-coming, the best authors to ask for endorsements are ones you have relationships with. Ideally, writers you've met at conferences, writing groups, or elsewhere, but even having a connection through e-mail or social media can make a significant difference in whether you receive a response to your endorsement inquiry. Fellow authors from your publisher or groups where you're active on Facebook can also be good places to start. When I sought endorsers for Common, I contacted a wide range of authors - several big name authors I'd interacted with a bit on social media, a few close friends from my critique group, some authors from my publisher who write for a similar audience, some authors I've interviewed here at Lands Uncharted, and many friends and acquaintances I met on my first trip to Realm Makers (a conference for Christian writers of fantasy and science fiction). Of the bigger name authors I'd contacted, most didn't respond at all, one declined very kindly, and the one I knew the best due to meeting her in person and multiple interactions online, said yes! :) I had a few non-responses from other authors I contacted as well, but for the most part my friends and acquaintances were very generous in offering their help and encouragement. Once you know who you want to ask, then there's the little matter of figuring out how to approach them. My first recommendation would be to make your request friendly but professional. Avoid contacting the author through social media if possible (unless you've interacted there frequently enough that it will help them remember you), and instead reach out through e-mail or a contact form on their website. Also, be sure to personalize your request. Remind them where you've met or connected in the past, and tell them what you loved about their latest book. Just as when you're approaching an agent or publisher, if you're asking this person to invest their time and reputation on your book, they deserve to know why you think they're a good fit and that you've invested time in their work as well. I would suggest including a short excerpt or blurb in your request to give the author a sense of your writing style and whether it's the kind of story they enjoy reading. In addition, be sure to specify up front what the expectations are for timing, length / style of endorsement, etc. And thank them for their time, regardless of whether they agree to endorse or not. Even if it doesn't work out this time, you want your endorsement request to pave the way for a stronger connection in the future, not to burn bridges or leave a negative impression. If the author says yes, hooray! But don't be too quick to send your manuscript. Generally, endorsement copies are sent out before the final proofreading, but after the initial rounds of edits have fixed plot holes, caught major issues, etc. If a book is sent to endorsers too early, they may be concerned that the final product will be too unprofessional to want their name associated with it. On the flip side, make sure to give endorsers a reasonable turn-around time to read your book and share their thoughts. Considering how busy most authors are, I'd say you need to give endorsers at least a few weeks, ideally a month or more to read your work and get back to you. And if the initial time frame you shared with them changes, let them know! Many authors don't get to read a lot of books in between their own deadlines, so help them plan ahead by keeping them updated on when your book will be available. For Common, I started reaching out to potential endorsers about a year before my book was published, but you probably don't need that much lead-in time :) After my initial round of requests, I did follow up with a few authors I didn't hear back from, but only if I had a stronger connection with them. Our initial estimate for sending out my manuscript ended up being off by a few months, so I let the endorsers know when I had updates on the timing (based on the feedback I received, they seemed to find that very helpful!). We sent out the manuscript before the final round of formatting and editing and gave endorsers about five weeks to respond. As a snapshot of my own experience, out of the 22 authors I initially asked to endorse my book, 17 agreed to consider it, and 14 ended up endorsing - as I said before, I was very fortunate and am so grateful to all the generous authors who took the time to read my book!! Even if you're not planning to publish a book any time soon (and even if you don't think you'll ever want / need endorsements! ), if you're an aspiring author, I would highly recommend starting to make connections with authors in your genre right now. If you're able to attend conferences or local writing groups, that's by far the best way to make personal connections with fellow authors. Also, keep an eye out for book fairs, comic cons, or other events in your area that offer opportunities to meet authors. If you can't meet them in person, follow authors through their newsletters and on social media. If they ask a question or are looking for feedback, don't be afraid to respond! Most authors love interacting with readers :) Go out and read their books, and share on social media how much you enjoyed them! If you have a blog, inviting authors to visit for guest posts or interviews can be a great way to make connections. It's no guarantee, but I do think authors will be much more likely to pay attention to your book if they've seen your name around for a while and in a number of contexts, not just when you're asking them for a favor. And based on what I've observed, people notice when you're a team player in the publishing industry. As in many areas of life, authors are much happier to help someone who is out there engaging in the writing community and promoting others in addition to marketing their own work. What do you think? Authors who have sought endorsements, what was your experience like? Aspiring authors, is there anything from this post you have already or would like to put into practice? Great post, Laurie! Something I’ve wondered about. Thanks for the thorough walk-through. Very helpful! Thanks, KaLyn, I'm so glad you found it helpful! Thank you so much, Katie :) I so appreciated your endorsement and the fact that it's led to us becoming better friends! Very helpful post, Laurie. I'm glad I wasn't the only one ignored or rejected when asking for endorsements, though I'm sorry it happened to either of us. This is something I need to get busy on for To Catch a Magic Thief!